7 Features A Mobile Wallet App Should Have! From shopping for the festive occasions to paying the daily bills, performing it through a smartphone is nothing less than a blessing! 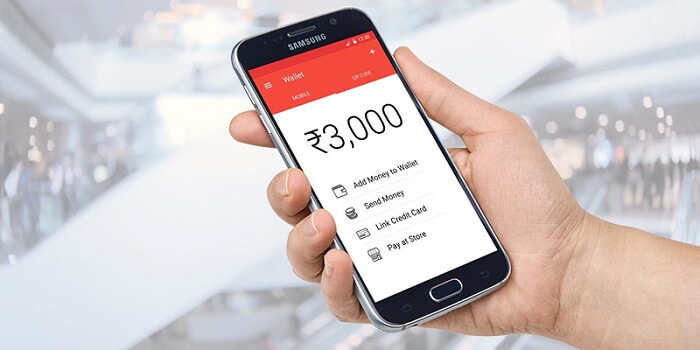 Thanks to mobile wallet apps like PayTM, Freecharge, and MobiKwik, people no longer have to hang around with their wallets full of credit card and cash or wait in ATM lines. One can easily buy/pay for anything on the go, with just a few clicks! Paying with a mobile wallet is just a matter of one click. You just have to link your credit/ debit cards, bank accounts details into the wallet once, and it will be saved to let you do transaction hassle-free anytime in the future. With an e-wallet, you need not carry your physical wallet with you. An e-wallet carries all your credit cards information as well as documents like your Aadhaar Card, Driving License, and much more. In fact, some applications like PayTM allows you to do shopping and grab discounts under the same roof. E-wallet processing is so fast that you can instantly transfer money to anyone across the globe. What else? You no more have to run for change. 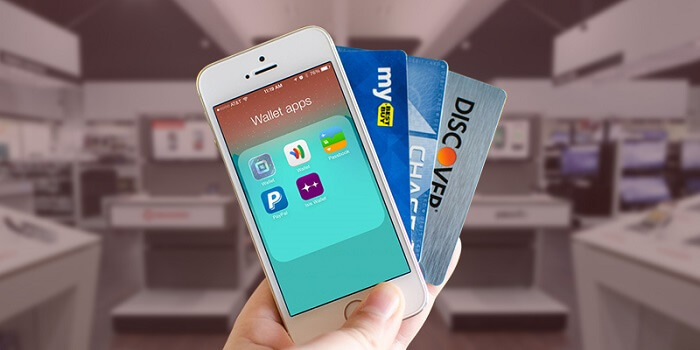 As per the mobile wallet app developers, a wallet application provides the opportunity to interconnect the bank accounts, credit cards, mobile accounts, bills, etc. and better manage all your financial transactions. From the above-mentioned benefits, it is clear that mobile wallet apps are the future of all the businesses, especially retailing. Such technology innovations reduce the efforts of the consumers while shopping and thus, help to keep them hooked to your business! So, if you are ready to explore newer business opportunities and provide an exceptional experience to your users, get a wallet app today itself. With the world getting digital and users saving all their financial and personal information in the apps, the cyber attackers are more interested in hacking the apps and fulfilling their evil aspirations. In such a scenario, implementing a comprehensive and effective security system is the ultimate method to prompt users for using your app. Our app developers suggest building a password-protected application whose stored information cannot be read by the other apps. Also, adding features like sending OTP (one-time password) to linked contact number or scanning the fingerprint/ QR code for the authentication of the user are good options to go for. The app performance is the sole way to engage users and enjoy higher ROI. When your wallet mobile application connects with different bank servers instantly and caters the needs of the users, they will love to use your application again. Whereas, if your app loads slow, the users will get frustrated and abandon your app. One way to keep your app’s performance impactful is to build a lighter app with only required features and fully optimize it. You can make your mobile application more portable by allowing the users to easily add money and make transactions. According to the top mobile app development agencies, this is the prime reason why users are frequently using e-wallet apps these days. Since the rewards can attract and engage customers effectively, it is required to add this feature in every mobile app. You can try different rewarding techniques, like providing some travel points or cash back. Designing an e-wallet which automatically takes backup of the files employed in every operation is also a great idea. After all, it will help the app to store all the essential information provided by the user for future preferences. Though not necessary, you can also look into this factor. When you offer the feature of keeping all the cards organized in different wallet file categories, the users will find an ease in performing the tasks. Besides this, you can also offer them different customization options like assigning different colors and icons to the file categories. Like Categorization, it is an additional tool that you can integrate into your mobile wallet application so as to allow the customers to monitor their spendings, and plan their finances better. 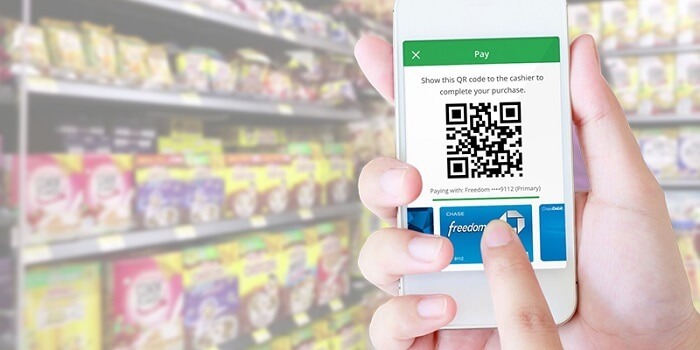 As more and more people are turning towards mobile payments, it is necessary for all the businesses to look forward for developing a mobile wallet app. If you still have any doubts regarding e-wallets or want your wallet application build by our experts, contact us now.